Before we can decide whether UBI would work, we need to separate the facts from the fiction. You’ve compared this idea to communism, so let’s focus on that first. In doing so, let’s also talk about what was actually done in the former Soviet Union and not what was intended. What they actually did there, simply put, was transfer the means of production from those who ran the businesses based on market forces, into the hands of a bureaucracy who made decisions based not on market forces but on politics and cronyism. This is a terrible idea. But why is this a terrible idea? The market works because it is a means of figuring out what people want, the degree to which they want it, and the means of getting it to them. Let’s take bread as an example. In Russia, they thought everyone should have bread. That was a decision made by those in power, and they then tried to make that happen, whether everyone wanted bread or not. This did not work so well, and there were shortages. Plus, those with the connections got more than enough while others got none. Trying to give bread to everyone, although noble in gesture, was a failure. So how do we do it here in America right now? The makers of bread make bread, and sell it to stores, so that people with the money to buy bread, can buy bread. If bread isn’t getting bought, less bread is made. If all the bread is getting bought, more bread is made. Those who make the bread aren’t making a top-down decision on how much bread to make. They are listening to market forces, and the decision is bottom-up. This is perfect, right? Just the right amount of bread is getting made and at just the right price. No, it’s not. Why? And how can this be improved? Right now only those with the means to pay for bread have a voice for bread. We love to use the term, “voting with our dollars”. So is the outcome of that daily election accurate? Does everyone have a voice for bread? No, they don’t. There are people with no voice, because they have no dollars. The only way to make sure the market is working as efficiently and effectively as possible to determine what should be getting made, how much to make of it, and where to distribute it, is to make sure everyone has at the very minimum, the means to vote for bread. If they have that money and don’t buy bread, there’s no need to make and distribute that bread. If the bread is bought, that shows people actually want that bread. So how do we accomplish this improvement of capitalistic markets? With Unconditional Basic Income (UBI). By guaranteeing everyone has at the very least, the minimum amount of voice with which to speak in the marketplace for basic goods and services, we can make sure that the basics needs of life — those specific and universally important to all goods and services like food and shelter — are being created and distributed more efficiently. It makes no sense to make sure 100% of the population gets exactly the same amount of bread. Some may want more than others, and some may want less. It also doesn’t make sense to only make bread for 70% of the population, thinking that is the true demand for bread, when actually 80% of the population wants it, but 10% have zero means to voice their demand in the market. Bread makers would happily sell more bread and bread eaters would happily buy more bread. It’s a win-win to more accurately determine just the right amount. And that’s basic income. It’s a win-win for the market and those who comprise the market. It’s a way to improve on capitalism and even democracy, by making sure everyone has the minimum amount of voice. Think about that for a second. Crime plummeted and people given a basic income actually created their own jobs and actually ended up with even greater earnings as a result. Or how about this psychology experiment as evidence for increased productivity? This suggests that if we create the option for people to be able to choose not to work, genuinely choosing to work may result in even greater commitment, because it is suddenly a matter of choice and not force. Choice is a powerful motivator. Speaking of motivation, what does the science have to say about money as an effective motivator for complex and creative tasks? In the 21st century, as we continue quickly automating away half our jobs in the next 20 years — jobs less cognitively-complex and more physically-laborious — we need to enable ourselves to freely pursue our more creative and complex ventures. Some of the best work happening right now, is the stuff being done in our free time — that is unpaid — like Wikipedia and our many other open-source community creations, not to mention all the care work performed for our young and elderly. Basic income is a means of recognizing this unpaid work as having great societal value, and further enabling it. Or how about the multiplier effect as evidence of enhanced capitalism? This means that by redirecting that money pooling at the top doing comparatively very little, accumulating in ever increasing amounts through continual redistribution upwards from the bottom and middle of the income spectrum, and recirculating that clotted money back down to the bottom and middle, this would actually expand the entire economy while making it more sustainable and more inclusive. This is how the body works. This is how engines work. This is how systems work. A system cannot exist in perpetuity that is designed for one-way flow. Thomas Piketty has recently demonstrated in his sweeping Capital in the 21st Century that our current system is exactly that — one way. It is up to us to create a true circulatory system for the engine of capitalism. Without monetary circulation, the system as a whole will come to a grinding halt. If Piketty is right, then holding on to an ideology of income and wealth redistribution as “theft” may just be like a heart refusing to pump blood anywhere but the brain. Basic income is entirely affordable given all the current and hugely wastefulmeans-tested programs full of unnecessary bureaucracy that can be consolidated into it. And the cost also depends greatly on the chosen plan. A plan of $12,000 per U.S. citizen over 18, and $4,000 per citizen under 18 amounts to a revenue need of $2.98 trillion, which after all the programs that can be eliminated are rolled into it, requires an additional need of $1.28 trillion or so. So where do we come up with an additional $1.28 trillion? • A land value tax has been estimated to be a source of revenue of about $1.7 trillion. • A flat tax of around 40% would be sufficient. Due to the way such a tax works in combination with UBI, this would effectively be a reduction in taxes for about 80% of the population. • A 10% value added tax (VAT) has been estimated to be a source of revenue of about $750 billion. That could be increased to reach $1.3 trillion or added to other sources of additional revenue. • These other sources of revenue could be a financial transaction tax ($350 billion), a carbon tax ($125 billion), or taxing capital gains like ordinary income and creating new upper tax brackets ($160 billion). Did you know that for fifty years — between 1932 and 1982 — the top income tax rate averaged 82%? Our current highest rate is 39%. • There is a place in the world that already pays a regular dividend to everyone living there, universally to child and adult, through a wealth fund it has created through royalty fees paid by companies for the rights to profit from its natural resources. This place is Alaska, and the “Alaska Model”could be applied anywhere as a means of granting a basic income as the social dividend from a sovereign wealth fund of resource-based revenue. • We could even get more creative by thinking about how we go about giving away other forms of shared resources royalty-free to corporations, like the use of our public airwaves, and patents/copyrights that should have entered the public domain long ago but haven’t thanks to corporate lobbying from those like Disney to protect their profits off of creations like Mickey Mouse. Did you know the Happy Birthday song isn’t even in the public domain? Companies should pay us instead of politicians to keep things out of the public domain, and we could use this revenue as an additional means of growing a resource-based wealth fund. Suffice to say, there exist plenty of funding options, any one of which are more than sufficient, that if combined could potentially allow for a larger basic income, or a reduction or even elimination of income taxes entirely. We studied this question in the 1970s here in the United States, back when Guaranteed Annual Income (GAI) was a goal of President Nixon and the House even successfully passed a bill for it. The findings from the accompanying large-scale experiments done in cities like Seattle and Denverfound that surprisingly, hardly anyone actually stopped working, and instead reduced their hours slightly, with men reducing their hours the least — by a maximum of 8%. This slight reduction in hours was then replicated to even less of a degree in Canada’s Minimum Income (Mincome) experiment, with men choosing to work as little as 1% fewer hours. Meanwhile, we find ourselves today working too much. Having drifted away from the 40-hour work week, we now find 1 out of every 3 of us working more than 50 hours, with many even working more than 60 hours. And what are the effects of this? We want to start working less. It would be good for overall productivity to be working less. In fact, in certain circumstances, we shouldn’t even be working at all. It’s called presenteeism, and happens when people refuse to call in sick. Right now people are going to work when they actually should not be going to work, and this is having a negative effect on the entire economy and even our overall health. We need people who are feeling sick to stay home when they should be staying home and not feeling forced to work because they absolutely have to earn that money, or out of fear of losing their jobs if they actually take a sick day. Through the elimination of the welfare trap thanks to basic income, this would mean that anyone choosing not to work — instead opting to just live off their basic incomes — would be earning less than everyone choosing to work for additional income. 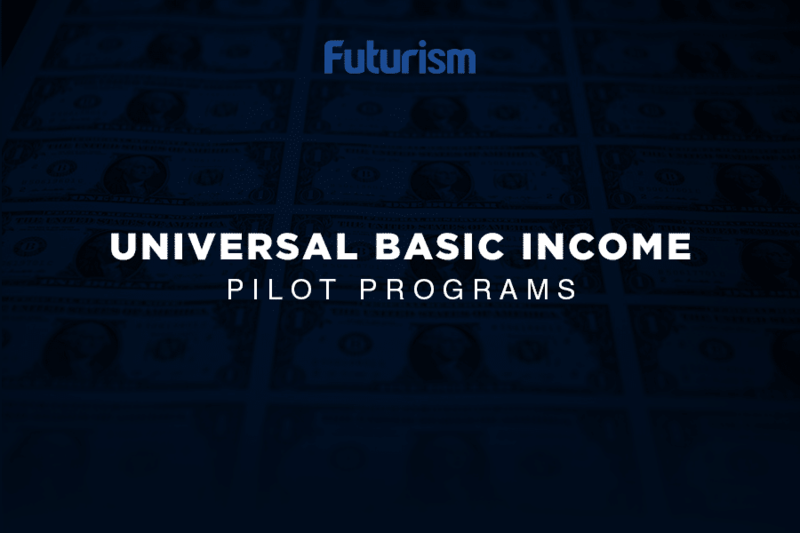 This could not only decrease unemployment and increase productivity, but simultaneously fix the situation we have right now, where it’s possible for the unemployed to actually earn more in equivalent benefits than the cash incomes of those who are employed. Plus, the very ability of people to not need a job, makes it that much harder for employers to exploit employees with insufficient wages and poor working conditions. The ability to actually say “No”, means the empowerment of labor on an individual level — no unions required. Why Would (Insert Who You Dislike) Ever Agree to This? The idea of basic income cuts across all party lines. From the extreme right to the extreme left, we are hearing calls for basic income. Those on the right love its potential to shrink the size of government and do away with minimum wage laws, while those on the left love its potential to reduce inequality and once and for all put an end to poverty. Basic income is not “left” or “right”. It’s forward. So Why Should You Support Unconditional Basic Income? Why should you have supported the abolition of slavery back in the late 19th century? Why should you have supported the right for people other than rich white men to vote? Why should you have supported our landing on the Moon? Why should you have supported the ending of the Vietnam war, or the beginning of LBJ’s war on poverty?